I am really excited about my second ESAD Blog Hop. 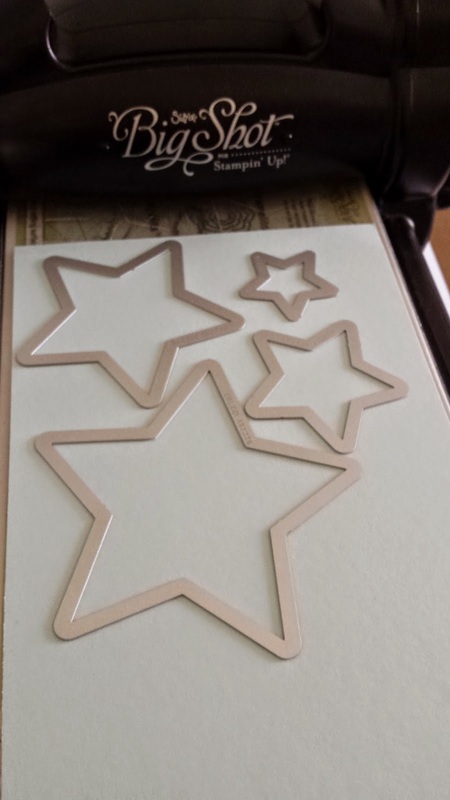 I really love Stampin UP! during the holiday time and Christmas is my favorite time of the year. I am really excited about doing Christmas Cards this year. Each year in Oct I start making Christmas Cards for markets and sales to friends. I thought this year I would go with some non traditional coloured cards. 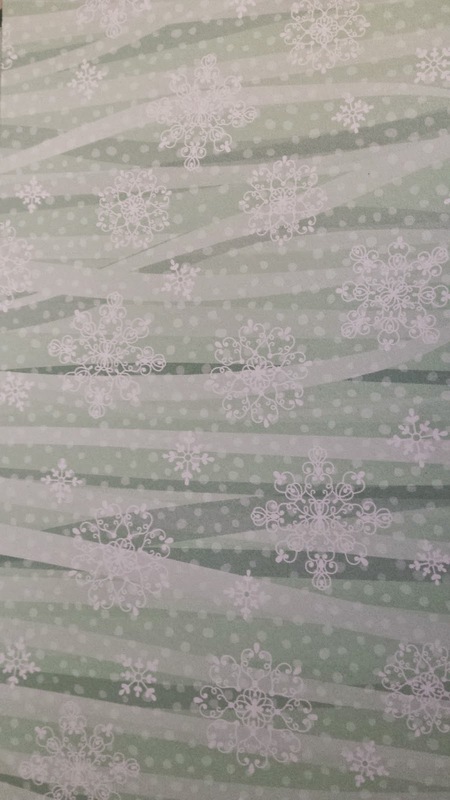 I am using the All is Calm Specialty Designer Series Paper . The mix with Soft Sky, and Lost Lagoon make an amazing combination. 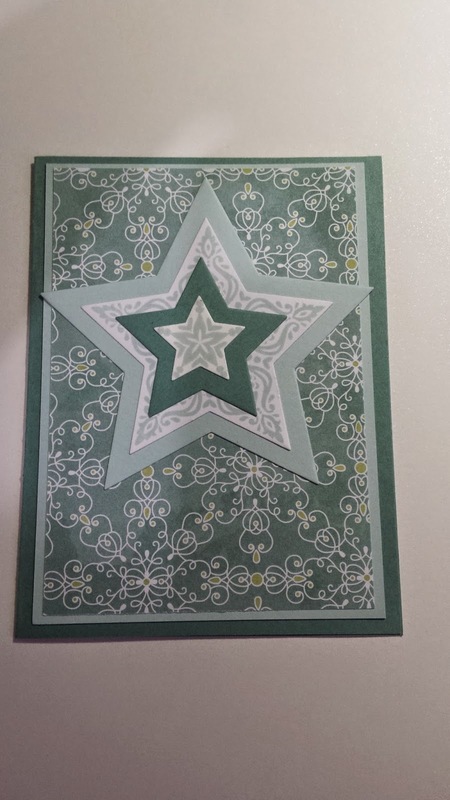 I used the stamp set Bright & Beautiful and the Stars Framelits for the embellishment and greeting. The Stars Framelits are so versatile. I have been using them for several cards I have made recently. Christmas is my favorite time of the year. I think we have neglected the personalised cards of times past. How exciting is it to get a card in the mail? I use to have a special garland hung in my lounge with all the cards I received. The last few years I have not sent as many to friends nor received many. This year I am planning to dig out my old Christmas Card list and send cards to as many of my friends as possible. I am really excited to send them to my family and friends. What better card to receive than a handmade one ? Here is one of my cards. This year I thought I would make a few I hope you enjoyed the ESAD Blog Hop so far. You may have found arrived here from Rochelle's Blog. If you started here at my blog you can hop over to the other blogs until you get back to my blog. Below is a full list of the hop. Lovely work Tracy. Thanks for being part of the hop. Thank you. I enjoy these hops. So many lovely projects. Thanks for sharing your card. I think Christmas is a very special time of year. Beautiful. I love that DSP & stars are always a Christmastime winner. Thanks for sharing! Lovely card tracy, great that you can be part of the ESAD blog hops. Thanks Andrea. I am really enjoying being a part of the Blog Hops and hope to be a part of more of them. Beautiful card Tracy. I love the colour scheme you have used. Great card Tracy! Love the layers of stars. Thanks for sharing! Pretty card, Tracy. Christmas & stars just go together so well. Thanks for sharing. Thank you and tahnks for stopping by.